10 Army of Lovers Though there are not any Max Martin songs here, there are songs written by Rami, Arnthor, Savan Kotecha and Jorgen Elofsson! 27 Christina Aguilera 5. When I'm With You Jordan Omley/Michael Mani/The Jam/Sam Watters/Louis Biancaniello/The Runaways. 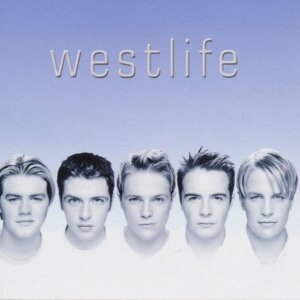 39 Five Yes Westlife are actually singing some original songs here! But not all! 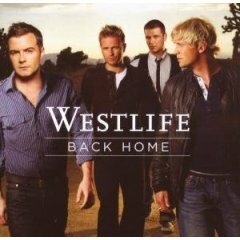 "Home" is the Michael Buble cover, "Have You Ever" is the Brandy cover and "I'm Already There" is a Lonestar cover. 42 Glee Richie McDonald used to be the lead singer of Lonestar. 53 Kelly Clarkson Sam Watters used to be in the band Color Me Badd and usually writes with Louis Biancaniello, together they have written songs for Anastacia such as "I'm Outta Love" and songs for Jessica Simpson and Leona Lewis. 74 Pitbull Awesome album filled with lots of Cheiron songs. I also love so much My Love, I Lay My Love on You and Soledad. 84 Stanfour 5. When You're Looking Like That Written by Rami/Andreas Carlsson/Max Martin. Produced by Rami at Cheiron. 90 The Veronicas 9. Soledad Written by Rami/Andreas Carlsson/C Porter. Produced by Per Magnusson and David Kreuger for Cheiron Studios. 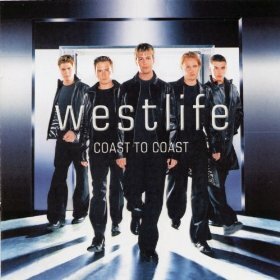 Written by Ray Hedges/Martin Brannigan/Nicky Byrne/Kian Egan/Bryan McFadden. Produced by Ray 'Madman' Hedges. Excellent debut album with lots more Cheiron! I love so many of these songs. 2. If I Let You Go Written by Jorgen Elofsson/Per Magnusson/David Kreuger. Produced by Per Magnusson and David Kreuger for Cheiron Productions. 4. Fool Again Written by Jorgen Elofsson/Per Magnusson/David Kreuger. Produced by Per Magnusson and David Kreuger for Cheiron Productions. 5. No No Written by Rami/Andreas Carlsson. Produced by Rami for Cheiron Productions. 7. Change The World Written by Topham/Twig/Ellington. Produced by TTW fro Pete Waterman Productions. 10. I Need You Written by Rami/Andreas Carlsson/Max Martin. Produced by Rami for Cheiron Productions. 11. Miss You Written by Jake/Rami. Produced by Jake and Rami for Cheiron. 13. Open Your Heart Written by Jake/Andreas Carlsson. Produced by Jake. 14. Try Again Written by Jorgen Elofsson/Per Magnusson/David Kreuger. Produced by Per Magnusson and David Kreuger for Cheiron Productions. 15. What I Want Is What I've Got Written by Alexandra/Rami. Produced by Rami for Cheiron Productions. 17. Can't Lose What You Never Had Written by Steve Kipner/David Frank. Produced by David Frank and Steve Kipner. No Max Martin here but some A Side Productions! 1. Queen Of My Heart McLaughlin/Robson/Mac/Hector. Produced by Steve Mac for Rokstone Productions. 3. I Cry Jorgen Elofsson/Per Magnusson/David Kreuger. Produced by Per Magnusson and David Kreuger for A Side Productions. 4. Why Do I Love You Jorgen Elofsson/Per Magnusson/David Kreuger. Produced by Per Magnusson and David Kreuger for A Side Productions. 5. 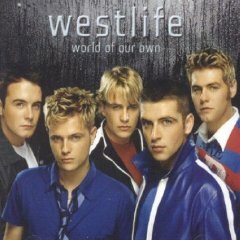 I Wanna Grow Old With You McFadden/Filan/Egan. Produced by Steve Mac. 6. Evergreen Jorgen Elofsson/Per Magnusson/David Kreuger. Produced by Per Magnusson and David Kreuger for A Side Productions. 10.If Your Heart's Not In It Steve Kipner/Andrew Frampton. Produced by Steve Kipner and Andrew Frampton. 11. When You Come Around K.Egan/N.Byrne/R.Stannard/J.Gallagher/A.Howes/M.Harrington. Produced by Richard 'Bill' Stannard and Julian Gallagher. 12. Don't Say It's Too Late McFadden/Filan/Romdhane/Larossi. Produced by Andreas 'QUIZ' Romdhane and Josef Larossi for www.quizLarossi.com. 13. Don't Let Me Go N.Byrne/K.Egan/R.Stannard/J.Gallagher/A.Howes/M.Harrington/S.Murphy/D.Morgan. Produced by Richard 'Bill' Stannard and Julian Gallagher. 14. Walk Away Pelle Nylen/Per Magnusson/David Kreuger/Andreas Carlsson. Produced by Per Magnusson and David Kreuger for A Side Productions. 15. Love Crime McFadden/Filan/Romdhane/Larossi. Produced by Andreas 'QUIZ' Romdhane and Josef Larossi for www.quizLarossi.com. 16. Imaginary Diva Feehily/Byrne/Egan. Produced by Cutfather & Joe for XL-Talent Partnership.